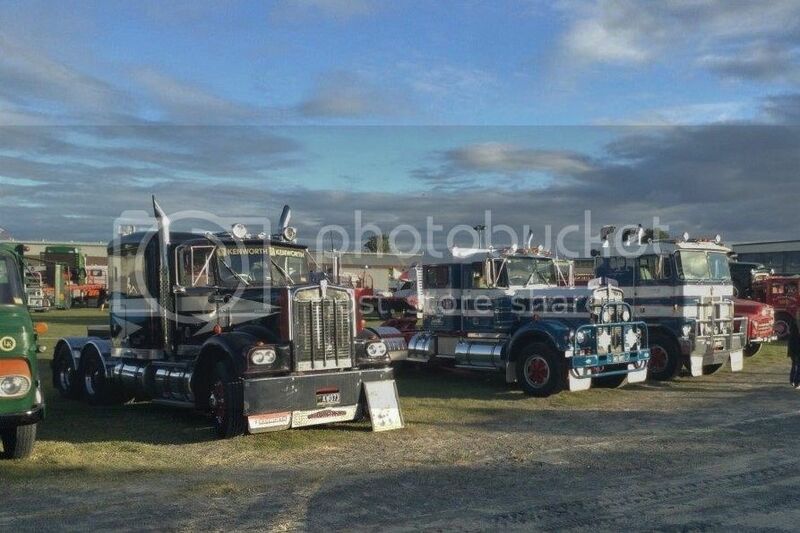 Paul from Ayr in Queensland, Australia has sent me some pics from the Rocklea Truck Show in Brisbane last month. Paul obviously hasn't got an expensive camera, but these are worth a look. I've always liked any of the American conventionals with big square grilles up front. 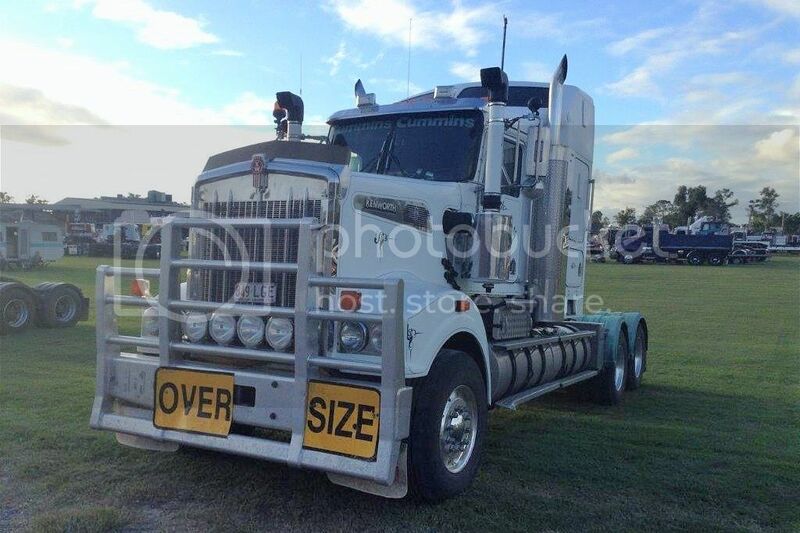 The International Transtar being one of them. International must date from around 1915 to 1923. 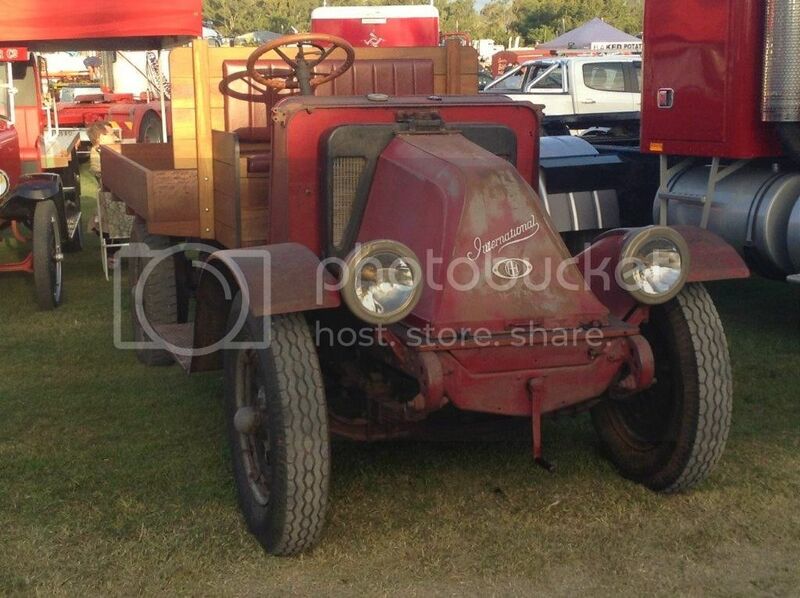 From 1924 Inters had their radiator mounted in the more conventional "ïn front of engine" position. 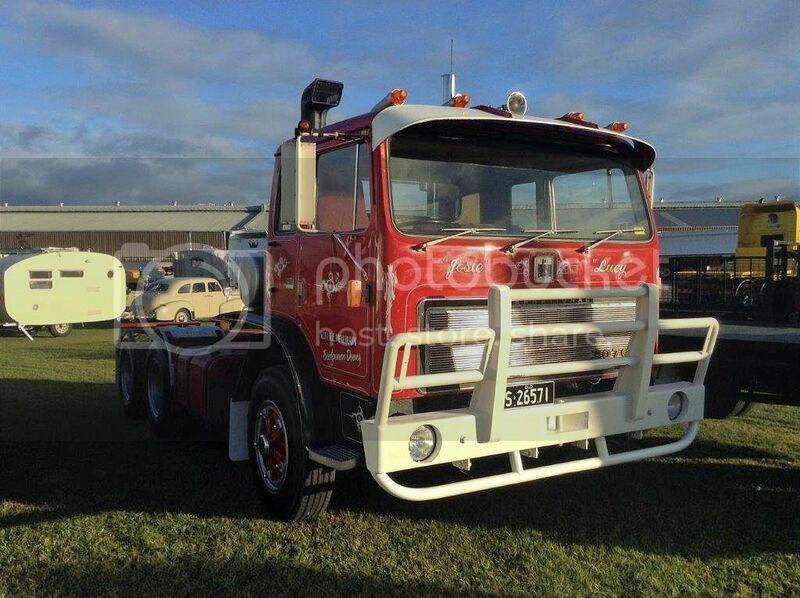 International 3070s were a popular truck in NZ, both in 8 wheeler and 6 wheeler models. Usually powered by the big V8 Cummins 903. 903 cubic inches equates to 14.8 litres, but power was only about 325 horses and most often coupled to a 15 speed Roadranger. 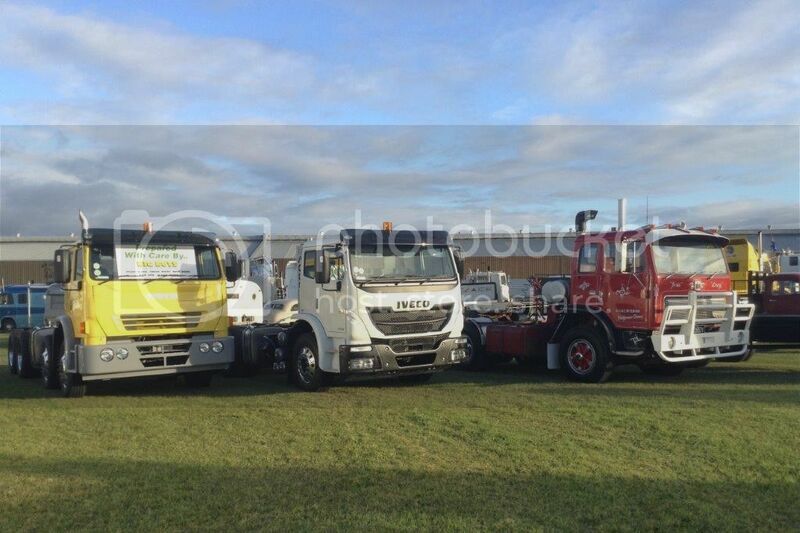 These Iveco models have never been seen in NZ. Using a development of the T-Line Inter cab, which in itself was a development of the old cab used on the 3070 at right. Another model not seen in NZ. 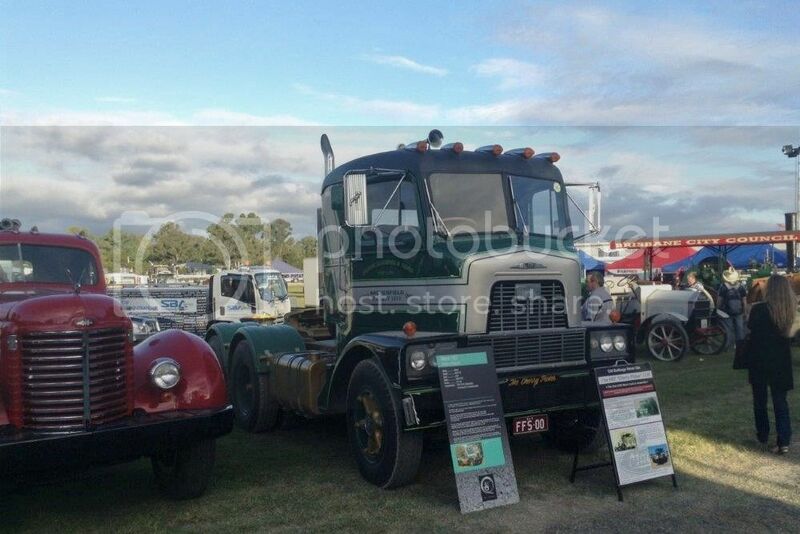 The late H model Mack was produced from about 1958 until the start of production of the G model in 1959 (although there was some overlap) which in turn was replaced by the F model that we are all familiar with. ....with a metal butterfly type bonnet like the one pictured here. 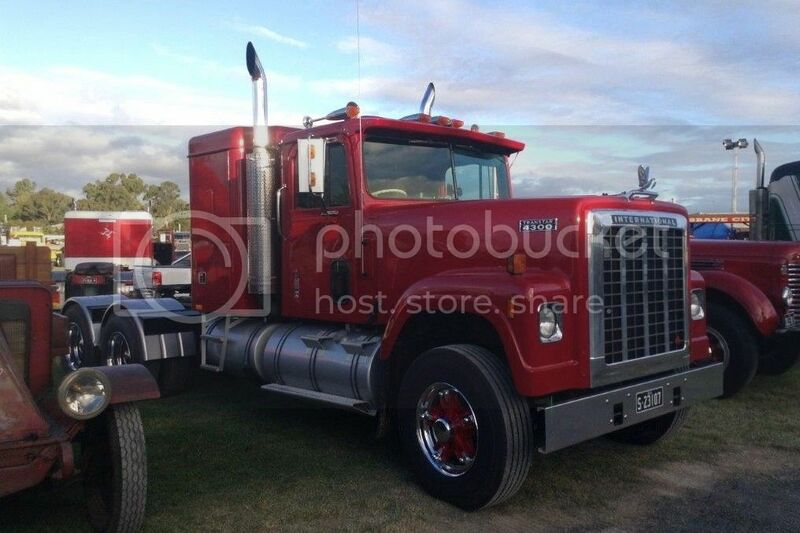 These were rare in NZ, but I do know that one of the oil companies used one in the Wellington area at one stage. 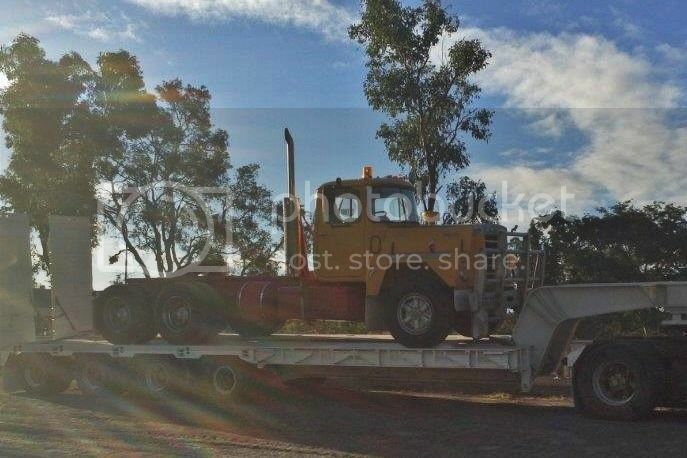 It was, I believe, shipped in from Aus to cover for another truck which had experienced some sort of mishap. 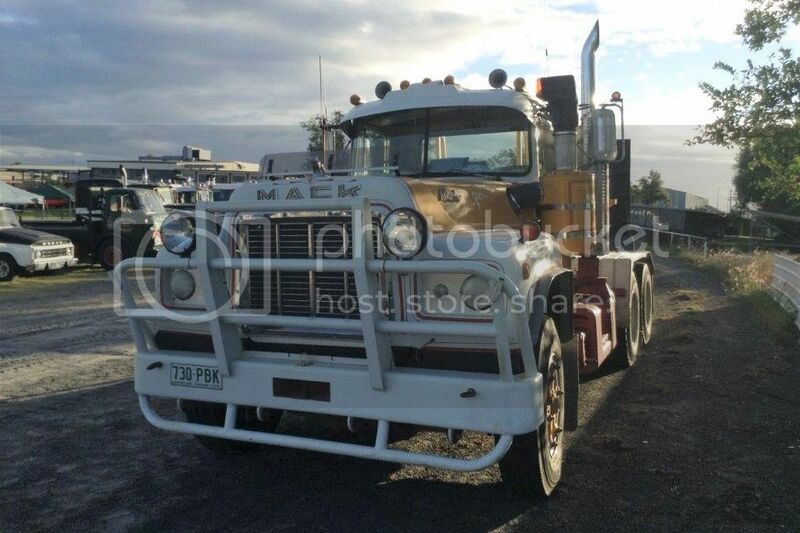 Kenworth T904 are usually seen in NZ as day cabs, but here is a typically Aussie rigged unit with sleeper cab, bull-bar, a row of powerful driving lights and long range fuel tanks.